Dream sleepers aim to provide you with a personalised and nurturing sleep feeding or behaviour package. The package will enable you to confidently and safely help your child to develop healthy sleep, feeding and behaviour changes. Young babies need feeding regularly through the night until weaning has been established. I can guide you through gentle strategies that you can use to help your baby settle in between feeds. The advice will always be current and evidence based. For sleep challenges affecting older babies and children, I will start by analysing behaviours, routines and responses from the information you have provided me. My bespoke sleep plans will provide a detailed easy to follow guide along with phone and email support. Assessing your child’s daily activities will help me establish why your infant is not sleeping. We will discuss together the changes that can be made and my recommendations will be provided in a personal sleep package. The package will be explored with you first, to ensure that you are happy to make the changes necessary relative to your family’s lifestyle and emotional well-being. This would form part of a free initial consultation. My approach will focus on your infant’s routines, your responses to their sleep difficulties and their behaviour. I will need to explore these areas by requesting a diary of your child’s daily activities. This will also enable you to discuss your lifestyle, limitations, thoughts and feelings. Together we will put in place a nurturing and gentle package that works for you. I do not use methods that involve leaving your baby or child to ‘cry it out’. This harsh technique is distressing for any parent, carer and infant. My aim is to guide, support and reassure you through your journey of positive change. 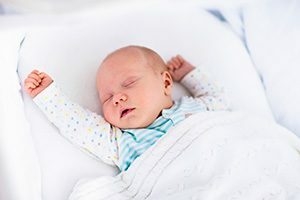 The sleep package may entail altering certain aspects of your child’s daily routines, which would provide you with a greater understanding of why they are not sleeping.